Learning What to Expect on the Driving Test! Based on the experience of qualified instructors at amdi driving school, this article will explain in detail exactly what to expect on the driving test. By having a good understanding of what to expect, there shouldn’t be any nasty surprises on test day. Day Of The Driving Test! With amdi driving school driving instructor, they will usually pick you up around one hour before the test. This will give you a little time to warm up and get your driving skills up to scratch. If you are not with an instructor, take a drive around the test roads for 60 minutes to get your self accustomed to the conditions. Amdi driving school driving instructor will Ensure you take with you your provisional driving licence photo card. Without this, the examiner will terminate the driving test. Ideally, also take the test booking details. If they were emailed to you, print them out and also your theory test pass certificate. The driving examiner will not ask to look at either of these, only your provisional driving licence, but it’s a good idea to take them just in case there are any problems. Certain driving test centers don’t have on-site parking, some are combined with other local business addresses and may be a little difficult to get into. There may be security gates that need clearance for example, so arrive at the test center 10 minutes early to ensure you get parked up and in the waiting room in time. Try not to arrive too early or you may be arriving as other test candidates are returning from the test. Blocking their access and generally getting in their way is not ideal. Try and find a parking position that will give you the easiest exit from the test center. Many driving tests are failed simply leaving the test center. When you exit your car, before heading off to the waiting room, familiarize yourself on how to exit the test center. Is the test center exit obscured in anyway? Is there a pedestrian footpath before you reach the main road? Looking out for little things like this will give you a good and confident. You have found yourself the best parking position to exit the test centre, familiarized yourself with the exit strategy, so it’s off to the waiting room. As with waiting for anything like this, this part seems the longest of all. Try to chat with your instructor or the person that accompanied you, so to feel less nervous. In the mean-time, get both parts of your provisional licence at hand, as the examiner will need to see these. Then finally, the examiner will ask if you wish your instructor to accompany you on the test. It’s entirely up to you. Your instructor or the person accompanying you cannot say or persuade your driving in anyway during the test. If they do, the examiner may terminate the test. If by accompanying you, it makes you feel more at ease, then take them along. They must sit behind the driver side of the car. If you happen to be late for your test, the examiner will wait around 5 minutes for you in the waiting room. Any longer than this then the test will be cancelled and you will lose the test fee. Once all this is complete, the examiner will ask you to lead the way to the car. The Driving Test Eyesight Test! You will need to re-apply for your provisional driving licence. 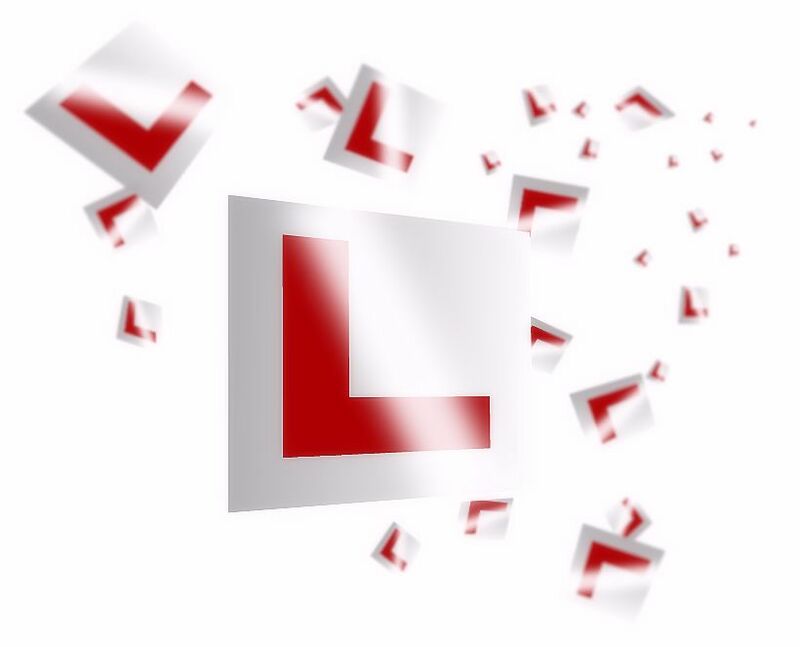 See How to start learning to drive for information on how to apply for a provisional driving licence. The DVSA may then inform the test centre to conduct a separate eyesight test on your second attempt. Now at the car, the examiner will ask you one of the two ‘show me tell me questions’. There are 21 questions in total, of which 7 are ‘show me’ questions and 14 are ‘tell me’ questions. The question that the examiner will ask you at the car will be a ‘tell me’ question, the second question will be whilst you’re driving. They are related to maintenance and safety of your car. It is obviously a good idea to read up on these and to fully understand the questions and possible answers. In this situation, you’ll need to know where the headlights switch is located on your car. See Show Me Tell Me driving test questions for a complete list along with answers. The Turn in the Road and Reverse Round a Corner manoeuvres are no longer conducted on the driving test. Reversing into a bay is only likely to be requested if there are bays present at the test centre. This manoeuvre will be requested at the start or the end of the test (if at all requested). If another test centre within appropriate range has bay parking available, it is also likely that you may drive to this test centre to perform the manoeuvre if your test centre has no bays. The forward driving into a bay manoeuvre will however be undertaken in supermarket and hotel car parks. Independent driving will involve the examiner initially asking you to park on the left. They will then inform you that the independent part of the test is about to begin. This part of the test lasts around 20 minutes. From every 5 driving tests conducted, 4 of the tests will require the candidates to follow directions from a sat nav. Those that don’t will be required to follow road traffic signs. Examiners will secure and set up the route using their own sat nav device (a TomTom Start 52) and you’ll not be able to use your own device. You can confirm with the examiner which route you are taking. Though you will be following a route from a sat nav, the independent driving section is not a test of your ability to follow directions. It doesn’t matter if you take a wrong turn or get lost – just make sure you do it safely. The examiner will help you get back on track if you get confused as to your location/direction. Examiner Tests You, Who Tests Them? It’s worth noting and being prepared for an extra and unexpected passenger during your driving test. Like driving instructors, examiners must undergo training and pass certain tests before enrolling as a DVSA examiner. Throughout their career, an examiner must also undergo check tests. This is essentially the examiner being tested to ensure they are doing their job correctly. During the driving test, you may find yourself in the car with the examiner in the passenger seat, along with a member of the DVSA in the back of the car testing the examiner – and if you have decided to take along your driving instructor, that’s going to be a full car indeed. You don’t get a choice whether you take along the DVSA check test individual, but your examiner will inform you of this just before you get into your car. Your examiner will also explain that you should ignore them as they are only interested in testing the examiner and not you. You may well find this extra person in the car off-putting, but try your best to ignore them as they really are not interested in how well or bad you do on your driving test. The chances of this happening on your test is remote as check tests are infrequent, although it’s best to be prepared just in case.